How did Street Shadows come to be? I have been a grade 6-10 teacher for almost a decade. I love it – the fart jokes, the awkward smiles, the deep thinking. That was my only work, and I was happy with it. Until one fateful night. I was biking home one night from a friend’s house with my husband and our dog, Baker. Baker was a fit two-year old Australian Shepherd cross, and he loved to run alongside our bikes when we made short trips through Vancouver, B.C. The night was dark and the air cool for late spring. We decided to take the shortcut through a large graveyard. I biked along, enjoying the peace and stillness, when a sudden burst of yipping sent alarm bells ringing. I stopped and noticed Baker wasn’t beside my bike anymore. Panicked, I looked around. A hundred feet away, Baker was being pursued by a thin, grey shape. The shape was a coyote, and it was gaining on him. My husband and I started yelling, and Baker took a long loop, heading back for us. He reached us just ahead of the coyote, his ears back with fear, and we lifted our bikes in the air, shouting. He stayed close to us and the coyote passed us, quickly melting back into the darkness. My heart pounding, I put Baker on the leash, angry at myself for not keeping better track of him, but also surprised. Living in the heart of a city of millions, I hadn’t realized that we shared our neighborhood with these wild canines. The next morning, I got in touch with the local organization that monitors coyote activity. 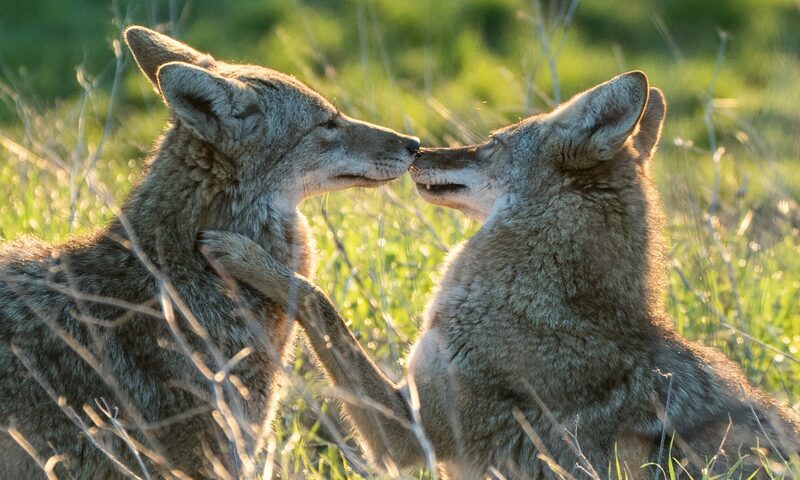 They told me that there was a den in the graveyard with pups, and that most likely the coyote had not been intending to hurt Baker, but rather wanted to chase him far away from the pups. It fit with what we’d seen. Although from then on, I left that coyote pack in peace, they continued to live in my mind. For the first time in my life, I felt like a movie was playing in my head whenever I was walking, waiting for the bus, or falling asleep. 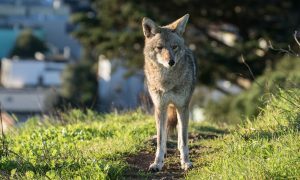 The coyotes began to live and breath, taking on names and personalities. Their story began to vividly unfold in my mind. I decided I needed to write it down, if only to get it out of my head. The next July, as I started my summer break, I began the project that became Street Shadows. Now I know that writing is a part of my work, just as teaching is.